Mobile World Congress at Barcelona seems to be an arena where new phones are being introduced. The gadget lovers all around the world looks excited seeing this event. They look confused on these gadgets. Gionee has come out with its new handset Elife S7 smartphone. The company continues its ‘slimness’ policy with this phone also. But they promise that this slimness won’t compromise other specifications of the phone. The tagline ‘Slim to perfection’ itself proves the object of the company that they are not at all ready to compromise with this. The new phone has been launched as a descendant to the Gionee S5.5 and S5.1 handsets that were launched, back in 2014. The handset is just 5.5 mm of thickness covered by an aluminum magnesium alloyed case along with Gorilla glass 3 on the back and front of the handset. The processor assures the users that the company is not ready to compromise with the specifications. The phones are coming out with Mediatek’s 64 bit Octa Core Processor with 1.7 Ghz. The RAM of 2GB assures users that they are going to enjoy the functions without any time lag. The internal storage of the device is 16 GB. The device supports dual sim. 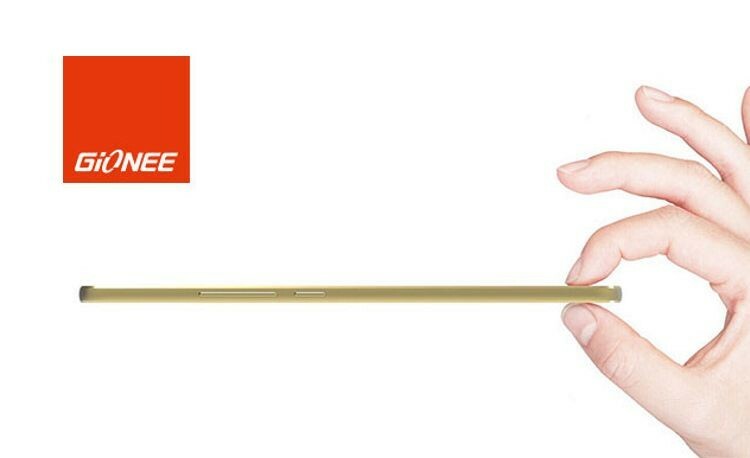 The Gionee Elife S7 is the first ever ultra slim smartphone that supports the feature of dual sim. The screen of the phone measures to be 5. inches with 1920*1080 pixels along with AMOLED display. The battery with 2750 mAh power would provide much more talk time, video playback which is a pleasing feature that everyone loves. The rear camera has got a 13 Megapixel power with sensor that would use new image processing system. The selfie lovers would love the 8 MP front cam. Elife S7 can capture upto 6 images in a sec, which would help the users to capture certain rare moments in life without any missing anything. The handset comes out with Amigo 3.0 OS based on Android 5.0 Lollipop. Another user friendly feature is the extreme power mode, which would help the device to remain functioning for another 33 hours with 10% of remaining power. This is achieved by seizing all other functions except texting messages and calling. The handset comes out in Black, White and Blue colours. The device will cost €399, the huge cost is due to increased production cost to mind the thinness of the device. The smartphone is expected to release in European markets first. The phone is expected to be cheaper in Indian markets than that in European markets. The company knows it well that the Indians would prefer cheaper handsets with maximum features.